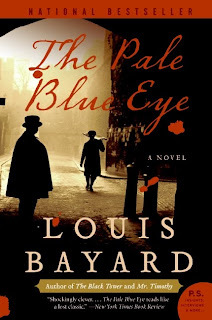 A retired New York City detective enlists the aid of a young cadet by the name of Edgar Allan Poe to solve the mystery of a suspicious suicide at West Point during the military academy’s early days in this engrossing historical whodunit by Louis Bayard. As a fan of both Poe and historically-based fiction, I was immediately intrigued by the premise. Bayard smoothly captures the spirit and ambiance of Poe’s work—even the most innocuous scenes carry a sense of foreboding—and the language of the era, without those elements disrupting the flow of the narrative. Detective Gus Landor is a fascinating character. Forced into retirement and out of the city due to work related stress, he reluctantly accedes to the school’s wishes to look into the matter only to find his efforts rebuked at every turn by the academy’s upper echelon’s efforts to keep the whole affair as quiet as possible. West Point’s very existence was already mired in controversy and under critical review, and even something as seemingly innocent, albeit tragic, as a suicide could lead to the school’s closure. With the faculty providing no assistance, Landor convinces his clients to allow him to enjoin Cadet Poe—impressed by the youth’s unique perceptive talents and methodical, yet odd, behavior—to help him. The resultant mix of seasoned, but tired, big city cop and erudite, peace-loving military student makes for an enthralling combination wrought with tension. The ending shocks like the best of Poe’s writings.